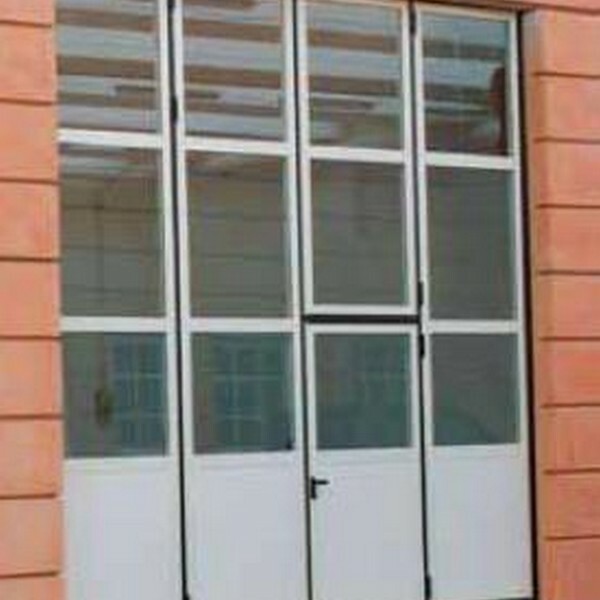 The Delta Part 4000 Liber is one of our highly insulated b-folding doors, manufactured for large openings. The maximum height of the door is 6m and the width is 9m (can be made into a 4 + 2 leaf combinations). 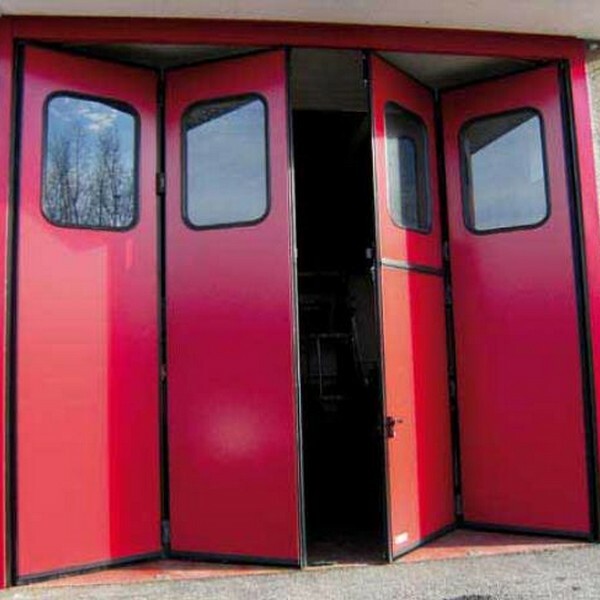 It offers a proven individual door system where insulation, minimum headroom of just 150mm, depending on size, a no bottom track or rail and high security are all required. 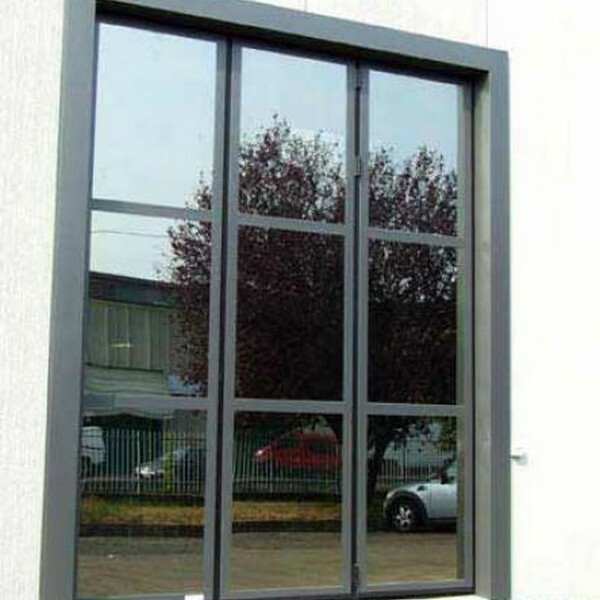 All of ENERCO’s insulated bi-folding doors are manufactured in modular design and are virtually maintenance free. This means they offer outstanding operational reliability. Like the other doors in the range, the Delta Part 4000 Liber is suitable for a wide range of applications – ranging from small industrial purposes to a variety of commercial storage requirements. This might include industrial units, factories, loading areas, boat yards and farm and agricultural buildings. It’s often a very good alternative to conventional sectional and roller shutter doors. It will improve the working environment, minimise draught and help to maintain a constant temperature.